And here’s an interview with Lex Luger, who produced two of last year’s biggest, beefiest rap singles – “Hard in da Paint” and “Blowin’ Money Fast” – at the scarcely believable age of 19. “A historical look at the number of times presidents have used selected words in their State of the Union addresses (or analogous speeches) from 1934 to 2011.” Thanks to Kelly Jenkins. It is nice sometimes to think about the eyeball. A friend sent me a link to this very popular blog post, which raises a question I can’t believe I never explicitly considered: How many Groundhog Days, in total, does Bill Murray’s character Phil go through? It comes up with the completely unconvincing answer of 10 years’ worth, based on the supposition that he is somehow using his time quite efficiently in his completely insane-making existential crisis. Director Harold Ramis responded it had to be “more like 30 or 40 years.” But Stephen Tobolowsky (“Ned Ryerson”) says Ramis and the screenwriter told him they actually imagined 10,000 years. Which would make sense of Phil’s eventual claim to be a god: He is one acquainted with eternity. Harold Ramis, as the aforelinked Toblowsky piece mentions, is a Buddhist, so his myth is less Nietzsche’s Eternal Return than the one about a weak man, a corrupt prince, who makes his way to enlightenment. A Zen priest explains this quite beautifully in this meditation on the Tao of Groundhog Day. By the way, there’s also a good anecdote in that Toblowsky piece about Bill Murray insisting that he be told what he’d be wearing in the final scene and a woman on the crew intervening, which tells you a lot about acting, directing and storytelling: Basically, the assistant set director made sure it remained Groundhog Day and didn’t turn into Sleeping Beauty. I’m really going to miss this pair. Their breakup this week shouldn’t have been a surprise – they haven’t made a record in four years and played in public once in all that time. I only own one of their albums, mainly because they were always in the air in the ’00s anyway; after 13 years you got used to the idea that they’d be around, and it was a warming, cheering thought. 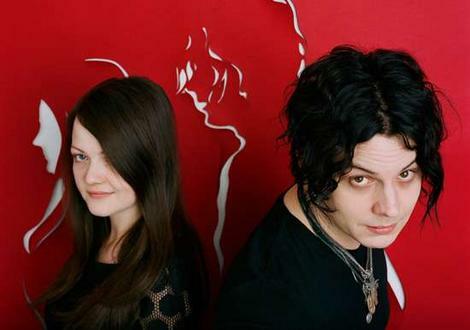 There’s something about Meg, as well as the conceptual apparatus of the White Stripes, that always seemed to stave off the threat that Jack, for all his talent, would just become a typical, arrogant, model-marrying Rock Star. Which is what he is, of course, but always just this side of the barbed wire. On the other hand maybe she has better things to do than keep her ex honest. Let’s just wish them both well. Speaking of well-wishes, this, at least with its video accompaniment, is the most effective pop-ballad-to-comfort-teen-outcasts I’ve run across in a long time. If you don’t tear up a bit, I’m suspicious of your claim to have once been a kid. Plus, it’s Tina Majorino, currently being wasted in a thankless role on Big Love but forever in our hearts as Mac. Pink, don’t let Mac be sad! Help her out! Last weekend I got to see one of my favourite comedians, Maria Bamford, live at the Comedy Bar. She was so uncannily funny/challenging/upsetting it was like going into a whirling cloud of pink confetti and red liquorices that whip you about the brow and temples till you emerge unable to remember any of the details. So I looked around for a memory-jog, and here are a few of the jokes she told. If that leaves you cravey, here’s an hour’s worth. Also from comedy on TV, this is kind of old but I just saw it – a way of being funny that seems almost physically impossible to pull off on a talk show. Okay, now stop everything. Yes, that too. Caught you.